WMExperts turns us on to a new and free application that is in a word, “Amazing”. Just a few steps and you can browse your device from your desktop. Super easy too. 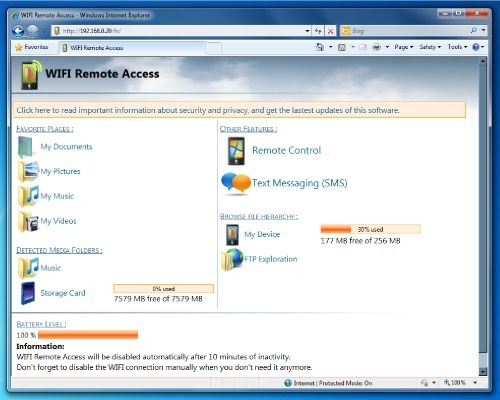 Just connect to your wireless network, open the app, type IP address shown in WIFI Remote Access into your laptops web browser and control your phone. 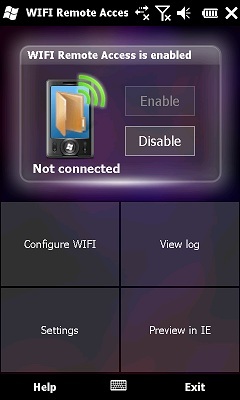 You can view all of your phones files and text messages and even control your phone remotely. You can even send a text message if you want.